Singapore is one of the famous tourist destinations which is a Southeast Asiancity- state off the Southern tip of the Malay Peninsula. This island country made up of 63 islands. It is a highly urbanized country. Almost half of this country is covered by greenery. The greenery and pleasant climate of Singapore attracts many tourists every year from all over the world. To serve the accommodation needs of increasing crowds, the country offers superb accommodation service. People looking for luxury stay on their trip to Singapore would glad to know that there are numerous luxurious hotels in Singapore. 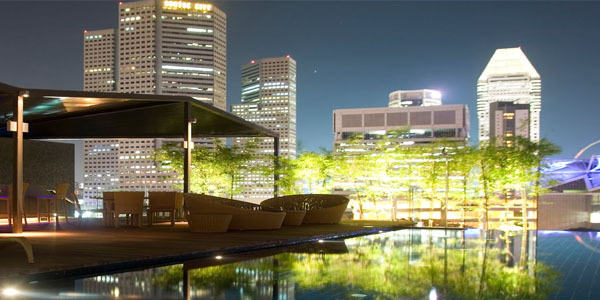 Some of the popular luxurious hotels in Singapore are Fairmont Singapore, Raffles, Grand Hyatt, Naumi Hotel, Shangri – La, St Regis, Capella, Inter Continental, Marina Mandarin, Ritz Carlton Millenia, Banyan Tree Bintan, Four Seasons, Mandarin Oriental, The Fullerton Bay, Pan Pacific and much more. For budget conscious visitors, Singapore have ample of budgetary accommodation options. Some of them are Fragrance Hotel – Waterfront, Harbour Ville, Hotel 81, Gateway Hotel, Hamilton, Bencoolen, Windsor, Le Peranakan, Regin, Santa Grand, The Keong Saik Hotel, Cultural Hotel and much more. To have quality accommodation, food and other facilities during the trip to Singapore, get the Singapore tour packages booked online at TravelHot.in.